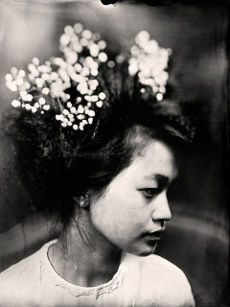 Inventing a new way of working with the 19th century wet-collodion process, fine art photographer Honza Sakar, has created an emotionally charged collection of portraits that resonate as artworks. See it at Dimbola from 26th May. Dimbola to host exhibition by Fine art photographer Honza Sakar, his first UK exhibition reveals how the power and allure of wet-collodion photography is still relevant today. 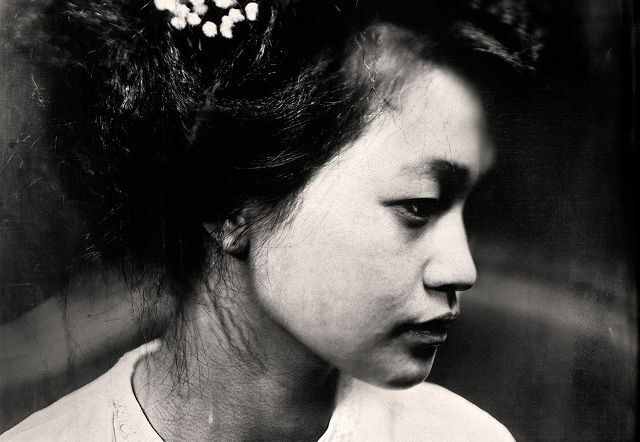 Inventing a new way of working with the 19th century wet-collodion process, fine art photographer Honza Sakar, has created an emotionally charged collection of portraits that resonate as artworks. This is Honza’s first UK exhibition and is fittingly held at Dimbola, as there is a creative link to the work of pioneering Victorian photographer Julia Margaret Cameron – a sort of handing over of the baton or wet plate. Honza’s fascination with the wet-collodion process began around five years ago. His photographs stand as a counterpoint to digital perfectionism, by virtue of being a study, a drive to capture an other-worldly presence. The wet-collodion process, invented in the 1850s, involves what can only be described as magical amalgamation of chemicals (some poisonous), liquids, light and plenty of patience. During this black-hand staining process, many, many things can and do go wrong. Then, in a ritualistic way photographs are born, the plates emerge from a sliver nitrate bath before being quickly exposed (thirty seconds of stillness for the sitter) and dried. “I retouch the plates when necessary to break through the superficial effects of processing errors. The visual language of collodion process is so powerful that it can divert attention away from the image. Honza prints using a modified inkjet printer using a mixture of pigments he blends himself which once again stain his hands black. This messy alchemy is also reminiscent of Julia’s work as she was often seen in dark clothes stained with chemicals from her photography. Each Silent Portrait is an artefact conveying a visual and emotional narrative, in many ways they can be perceived as letters to Julia – the creator of photography as an art form. Silent Portraits are exhibited in the main gallery (26th May – 15th July 2018) and include images of Dr Brian Hinton, Roger Eaton and Michael Robinson and his grand-daughters. Island Landscapes are located in Charles Hay Gallery. Born in 1979 in Karlovy Vary, studied at the Faculty of Education of the University of South Bohemia. Lives in Prague and is currently in the third year of the Bachelor‘s degree of Creative Photography at the Institute of Creative Photography in Opava. His main focus lies in portraiture and documentary photography with the occasional landscape when travelling. Most of his work is done in black & white by both analogue and digital methods, preferably using large format cameras and antique photographic processes. These interests combined led him to open his own wet plate collodion portrait studio in Prague earlier this year. Honza is represented by the Leica Gallery, Prague. February 2018 Honza began a collaboration with Dimbola Museum and Galleries to capture portraits of people connected to Dimbola, these will be added to the Silent Portrait collection. He has also produced a series of Isle of Wight landscapes taken mainly around Yarmouth and Freshwater. During the year Honza will also be giving demonstrations and running courses on collodion wet plate photography (dates and times to be confirmed). 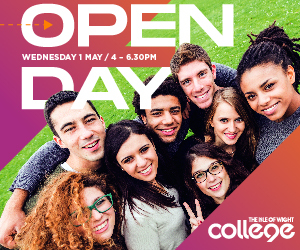 The preview will be held on Friday 1st June from 6-8pm. All welcome, refreshments will be available. 2 Comments on "First UK show at Dimbola for fine art photographer, Honza Sakar"